Nature Fluxx is the next evolution of EcoFluxx. It maintains the same cards and gameplay, but updates the card frame art and packaging. 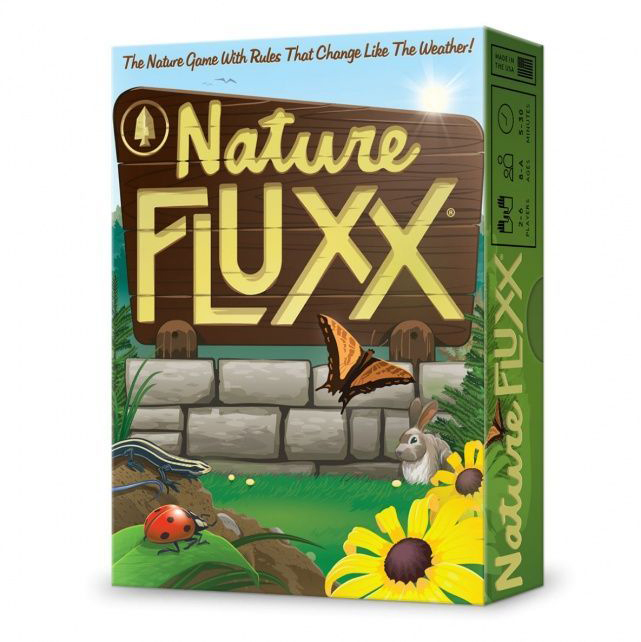 Full of plants and elements and things that-eat-other-things, Nature Fluxx will remind and teach everyone about the wonders of nature (all while playing an all-natural game of Fluxx)!